One of our divisions - Eurest , is currently seeking to hire highly motivated and enthusiastic individuals to join our team at client site- Honda Plants in Alliston, Ontario. Why work with us! Endless Advancement Opportunities Friendly Work Environment Competitive pay Guarantee of Stable Employment Full Training and Development courses Cheap meal plan Full Time Benefits Employee Discounts What you need to do Assist in all areas of Food Service operation Operation of cash register General cleaning duties of assigned areas Washing and Sanitizing of dishware, cooks’ pots, pans and other cooking equipment Practice safe food handling and adhere to all food safety standards Maintain appropriate stock levels of product Other related duties as assigned Hourly Wage: ( Night Shift- $16 per hour/ Day Shift- $14) + 4% vacation pay Shift / Hours- Night shifts | Sunday - Thursday / Afternoon Shifts| Monday to Friday with occasional weekends Location: Alliston, Ontario APPLY NOW and OPEN the door for your new opportunities with Compass Group Canada. 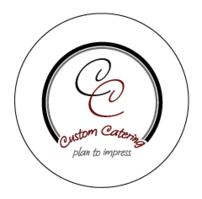 Custom Catering is recruiting for dynamic team members for the 2019 season and beyond. 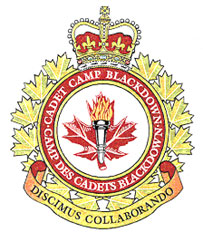 Service areas include Barrie, Innisfil, Bradford, and Alliston. Positions include, front of the house servers, team leads as well as set up and kitchen staff including drivers, dishwashers and prep cooks. If you offer an exceptional customer service focused work ethic, we'd love to hear from you. Eligible candidates must have weekend availability, reliable transportation and related experience in the Hospitality sector. 5 positions - 17 Jun - 20 Aug 19 Duties to be performed: • Be current and up to date with the standards, policies, procedures and directives and ensure they are followed to lessen the impact on the performance based food services contract at Blackdown • Prepare concise assessments on Breakfast, Lunch, Dinner and Dispersed meals; • Follow the HACCP processes from delivery, storage, preparation and serving IAW Food Safety Code of Practice prior to commencement of Cadet training; • Complete the provided checklist and total the numerical scoring to ensure all performance deficiencies checklist for all meals are recorded properly; • Arrange, prepare and submit all deficiencies and contract violations to the Food Services Officer after each meal; • Be present to monitor the preparation and delivery of the dispersed meals to ensure suitable quantity and quality according to the cycle menu; • Complete the provided checklist for Hygiene and Sanitation Inspections twice daily AM and PM; • Investigate solutions to all diner quires and complaints on an as required basis; • Provide daily summaries of all activities and appropriate changes or amendments as required to ensure compliance to current regulations and policies regarding Blackdown Food Services Contract • Assist in the movement of the Cadets during the meal periods; • Ensure that the food items are ready for meals; • Check all hay boxes to ensure that all items are ready for dispersed meals. EARLY SHIFT 06:00 – 14:30 · Complete Sanitation Evaluation Checklist with notes and times at 06:00 hrs; · Check and ensure meal items are out for meals; · Check hay boxes and condiments when they are being issued ensuring all items are there; · Complete Breakfast Checklist; · Control Cadets and ensure there are no issues at meal times; · Complete Lunch Checklist with Late Shift; · Prepare and count plates and KFS for Officers & SNCO BBQ with Late Shift for Wednesday; · Reset CO’s table after all meals; · Do checks on temperature of Food on steam line and salad bar; · Conduct counts on food items and verify weights when in question. LATE SHIFT 10:00 – 18:30 · Complete Sanitation Evaluation Checklist with notes and times at 14:00 hrs; · Check and ensure meal items are out for meals; · Check hay boxes and condiments when they are being issued ensuring all items are there; · Control Cadets and ensure there are no issues at meal times; · Complete Lunch Checklist with Early Shift; · Assist with the reset of CO’s table after Lunch; · Complete Supper Checklist; · Prepare and count plates and KFS for Officers & SNCO BBQ with Early Shift for Wednesday; · Reset CO’s table after all meals; · Do checks on temperature of Food on steam line and salad bar; · Conduct counts on food items and verify weights when in question; · Ensure Garbage at wash stations are empty, paper towels filled and soap filled at shift end.